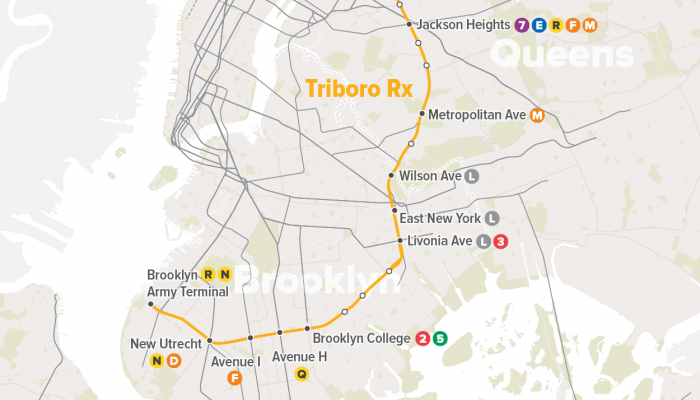 The problem with moving to many affordable neighborhoods in Brooklyn, Queens, and the Bronx is the lack of transportation options, but a new report from the Regional Plan Association calls for a Triboro RX subway line, which would weave together existing subway stops in far-reaching spots, as well as provide additional locations. And forget toll hikes to fund the line; it would run mostly above ground on existing freight train tracks, making implementation easy and cost effective. 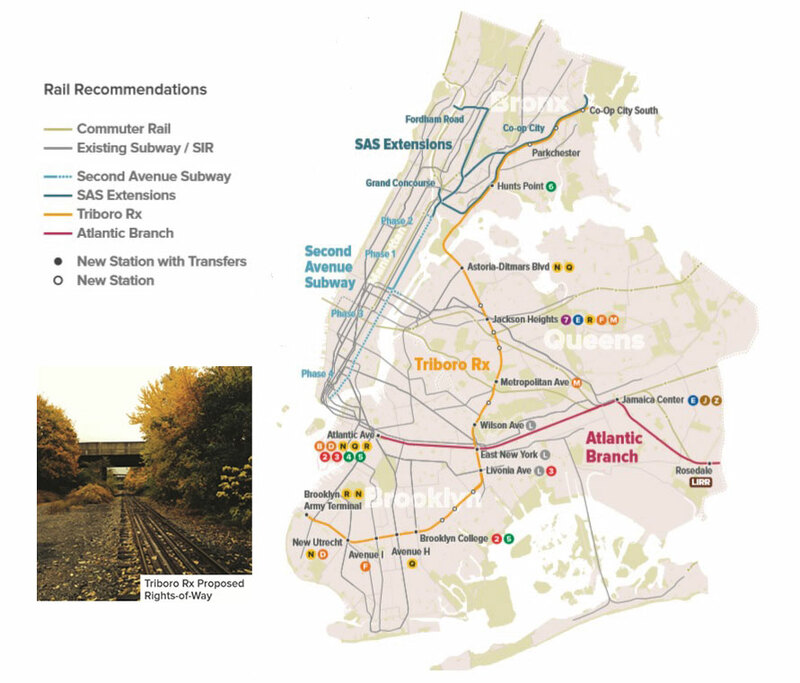 The fact that there is only one track operation with some areas as bypass stations with two tracks, expect the headways to be 30 minutes (similar to the Staten Island Railway).